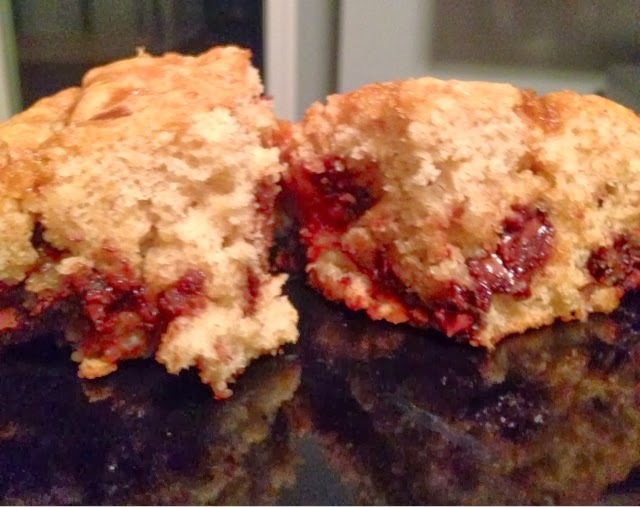 as the wine cork turns: not ya mama's banana bread: cinnamon chocolate chip style. 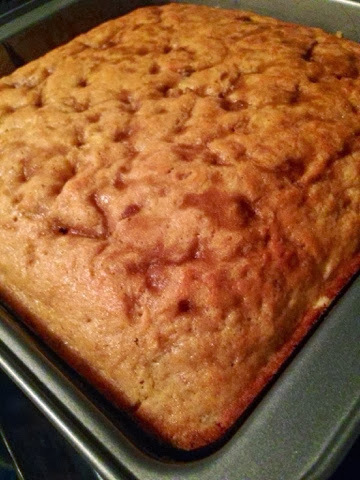 not ya mama's banana bread: cinnamon chocolate chip style. 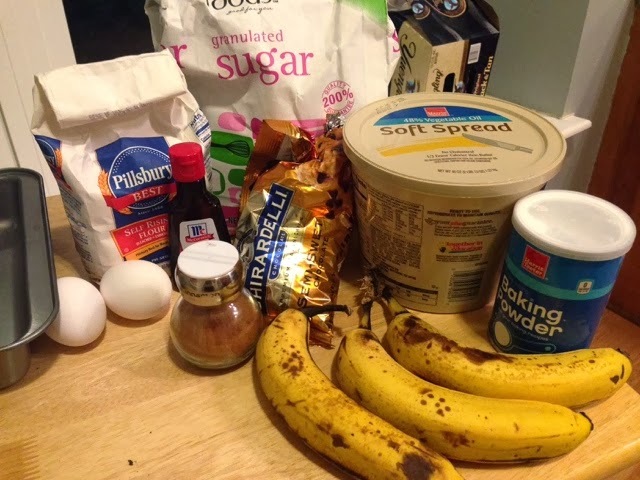 i say “not ya mama’s banana bread” mainly because i didn’t have a flippin banana bread pan. and i feel like this is something my mom and all other mom’s on the face of the earth have. you know, the long metal bread pans that are kinda required for this? yeah, we don’t have that at the new house .......... yet. i had been thinking about banana bread all day yesterday and had three perfectly ugly bananas that i needed to do something with – so i hit up the next best thing. an 8x8 casserole metal pan. so hence the title. 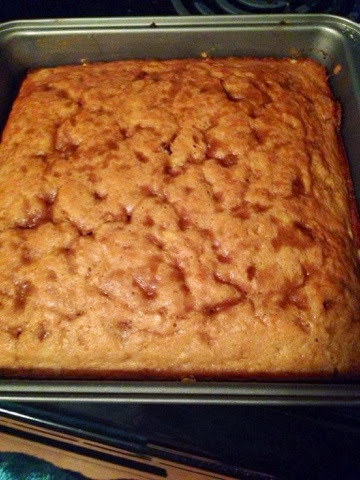 even so this probably should be called banana bread cake or something, but let me tell you – this did not disappoint. and you should make it. how you ask? read on. preheat the oven to 350. i always forget this. 3 crushed old ugly bananas. the uglier the better. ew, right? 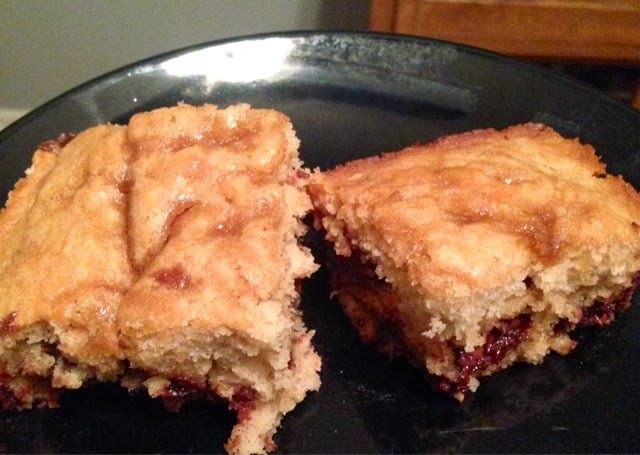 1 teaspoon of baking powder/soda – whatever, same thing. as much as you want of cinnamon – i just kinda dumped some on there. sorry i don’t totally have measurements, but trust me. it’s foolproof. anyway, this is what you do. 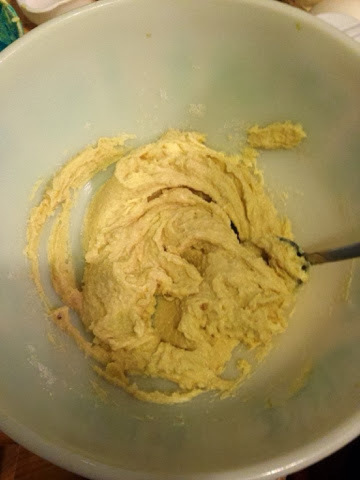 cream together the butter, brown sugar, & regular sugar. 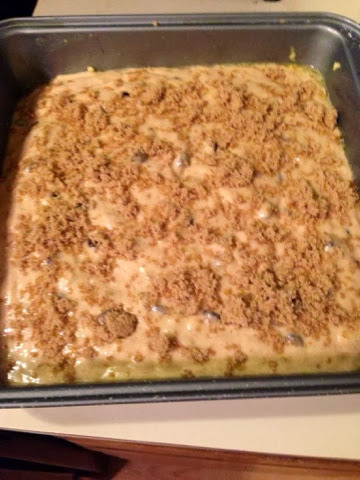 chunk in the bananas and beaten eggs. batter will be kinda goopy for a lack of a better word. in a separate bowl, combine the flour, baking soda, and salt. add to the goopy stuff. add your desired about of cinnamon. i probably did around 3 tablespoons. this will make it more thick. stir together until the consistency is thicker like above. 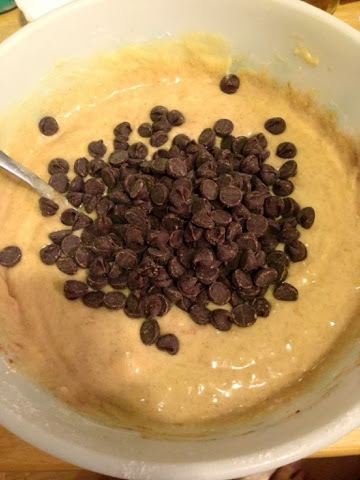 add those chocolate chips!!!!! 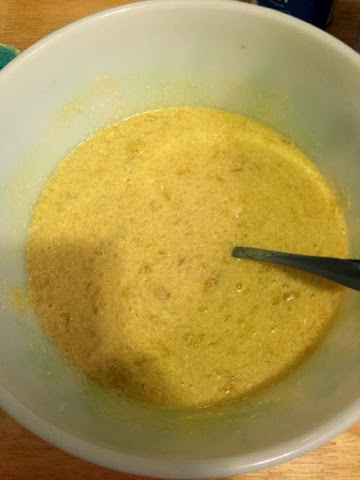 & stir. maybe a cup of chips? use your judgment. pour into your “bread pan” or casserole dish; ya know, whatever. i ended up sprinkling the top of mine with brown sugar for a more caramelized effect. yes, this adds more sugar. but really, if you’re worried about sugar, you shouldn’t be making this recipe. baked on 350 for around 35 minutes. 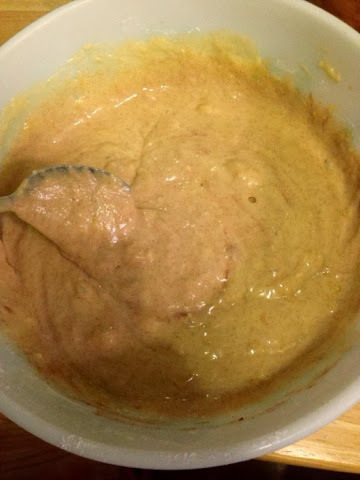 regular bread takes around an hour, but i pulled this out after 35 due to it not being as thick as bread and it was perfect. seriously go try this and thank me later. the boys were raving over it all night. what’s y’alls favorite homemade dessert?